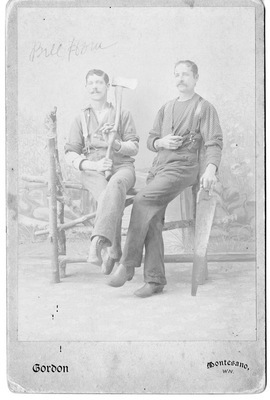 Two men posing in studio at Montesano, Washington. Gordon, "Portraits - Montesano, Washington" (2014). Edward Nolan Photographs. 331. Washington (State) -- History -- Pictorial works.